Hi, I just upgraded my Bios from v1.09 to v1.11 and my keyboard backlight will no longer stay on all the time on AC power. I bought an Acer Nitro 5 Gaming Laptop with 256Gb M.2 SSD on board thinking i would get an additional HDD to upgrade it later. Do we have any prospect of getting a driver update for Rx 560X in acer nitro 5 AN515-42 still running radeon software 17.7 while 18.9 is out. Please help me..i'm too late to create Recovery back up of my original new OS system of my new laptop Acer Nitro 5 AN515-52 73Y8. after Bios update the backlit keyboard started to turn off every 30 seconds like how its programmed to do on battery but the pc is connected , will it get fixed or ill just got to wait for an new bios update (if so how long must i wait) since i use the pc for work and studying and once i got to stop to read and it turns off i got to press some button to turn it back on over and over and over again wich is really annoying. 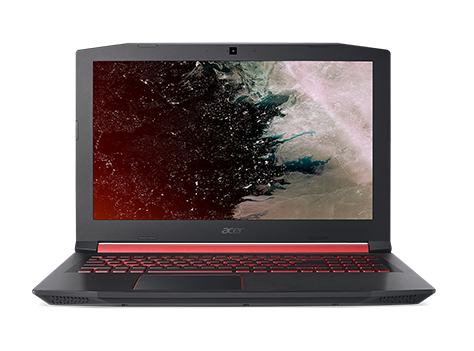 Discover more about Acer Nitro 5 AN515-42. Windows 10 Home - 2 GHz - AMD - Radeon RX 560X - 39.6 cm (15.6") - 1920 x 1080 - 8 GB - 1 TB - 128 GB - AMD Ryzen 5 2500U processor Quad-core 2 GHz - AMD Radeon RX 560X with 4 GB Dedicated Memory - 39.6 cm (15.6") Full HD (1920 x 1080) 16:9 IPS - 8 GB, DDR4 SDRAM - 1 TB HDD, 128 GB SSD. Confused on this and when I was on the Acer chat they said take my laptop to a repair shop or post here.